The deceased's tax return can be signed by someone else. 3. Can You File a Deceased Taxpayer Return Electronically? If someone close to you passes away, filing income taxes might be the last thing on your mind. But generally if someone dies and they would have had to file a tax return in the year they died, it is still necessary to file a tax return for the deceased for that year, as well as any previous years they didn't file while alive. If someone dies, then the representative of their estate, such as an executor or administrator, should sign the return when filing taxes for the deceased. If it's a joint return, the surviving spouse should sign it and say they are a surviving spouse on the tax return. Even after someone dies, the Internal Revenue Service still expects to see a tax return for the deceased filed in the year they die if it would have been necessary if they were still alive. If they would have filed jointly with a spouse, that spouse can file as a surviving spouse on the tax return. Generally, file the new Form 1040 for the 2018 tax year or one of the simple 1040 forms for the 2017 tax year and report any income they received and any deductions and credits they were eligible for, similar to how the deceased person would have done if alive. The estate representative should also pay any tax that is due and can, if needed, claim a refund on Form 1310. To indicate that the taxpayer has passed away, you should write the word "DECEASED" on the return, along with the person's name and date of death. If a personal representative of the estate has been selected or appointed, such as an administrator or an executor under state law, or someone is managing the deceased person's property, then that person should sign the return. If it's a joint return with a surviving spouse, then the spouse should sign the return and indicate they are signing as surviving spouse on the tax return itself. In some cases, the estate of a deceased person is required to file its own tax return in addition to the tax return for the deceased person himself or herself. This generally applies if the estate as a separate entity is receiving $600 or more in income in a particular tax year. An estate or trust should file its tax return using IRS Form 1041. Separately, if estate tax is due thanks to the size of the deceased's estate, the estate must file IRS Form 706 and pay any estate tax within nine months of the person's death. Estate tax and the filing requirement generally only apply to estates valued in the millions of dollars, with the exact cutoff changing from year to year. Under 2018 tax law changes, the minimum estate size subject to taxation is $11.18 million, double the previous limit. Smaller estates generally don't have to file estate tax returns, though a return must still be filed for the deceased person. 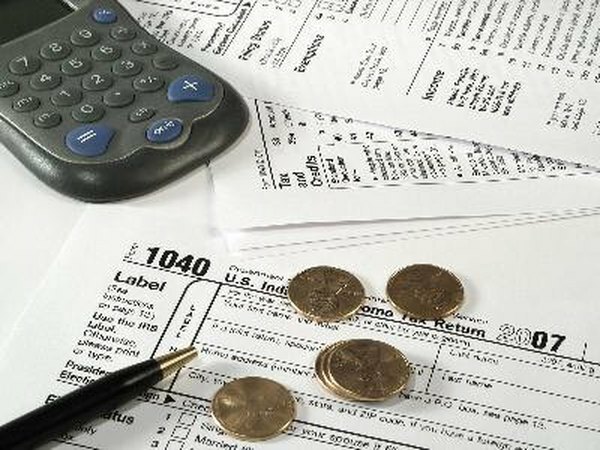 Those returns, too, may be affected by tax law changes, including a larger standard deduction, the end of personal exemptions and changing tax brackets. If someone died in 2017, their estate tax and final tax return will be governed by the law in effect that year. In that year, estates valued at more than $5.49 million were generally subject to tax and filing requirements. Tax brackets for 2017 also demand more tax be paid on various levels of income and the standard deduction is lower than in 2018. If you are a surviving spouse whose status is married filing separately, or if you are a non-spouse eligible to file, be sure to complete Form 1310 if you are claiming a refund on the deceased's return. You submit Form 1310 with the completed tax return. If you are an executor or court-appointed personal representative, submit a copy of your court-issued appointment documents with the return. If the estate does not require probate -- which might, for example, occur with small estates -- the person who's responsible for handling the deceased's financial affairs may sign the return.